At alGEK, our highly-skilled team have more than three decades of expertise in the installation of outdoor floor surfaces for a range of commercial applications. We only use low-maintenance, seamless and hygienic flooring systems from a select group of manufacturers, giving us the flexibility to complement the aesthetics and requirements of individual businesses or organisations. We understand the importance of maintaining safe and reliable outdoor surfaces that are made to withstand high-traffic, with slip-resistant and waterproof characteristics available if required. 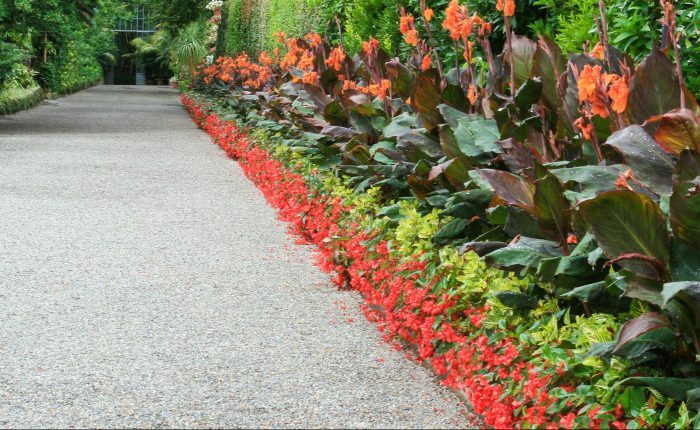 Aside from our decorative yet practical resin-bound and resin-bonded outdoor flooring, we also offer eco-mulch rubber surfaces made from eco-friendly rubber bark chippings for a flexible safety surface. Perfect for outside sports and leisure facilities as well as walkways and car parks, resin-bonded flooring is an incredibly low-maintenance seamless surface, with good aesthetic qualities. If you’re looking for outdoor flooring that creates a professional impression whilst offering cost-effective, hard-wearing performance, resin-bonded flooring is a very sensible choice. 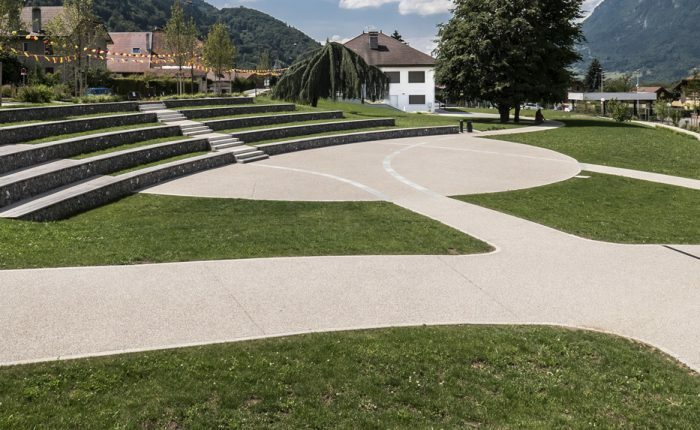 A highly effective flooring surface for outdoor commercial applications, this permeable surface is achieved by combining natural stone gravel with a polyurethane resin. The result is a durable yet porous resin-bound floor that minimises the risk of puddles and unforeseen dangerous wet areas, whilst ensuring an appealing aesthetic. 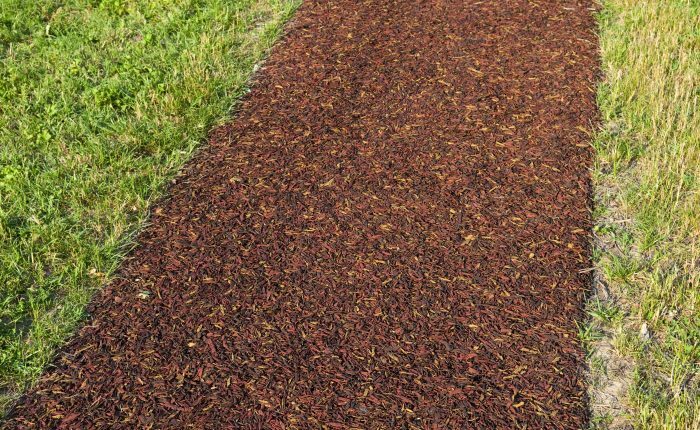 For cost-effective safety surfaces that are as eco-friendly as they are protective, eco-mulch rubber flooring makes for a sensible investment for a range of high-traffic outdoor leisure facilities. 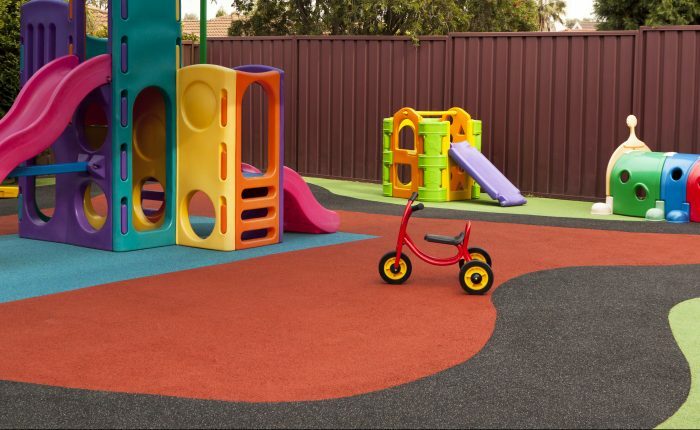 Made from 100% recycled rubber, these synthetic surfaces absorb the impact of being walked upon, as well as falls in the event of accidents, making them a highly popular choice for children’s play areas and playgrounds.